For almost 100 years, Arthur Cox has been at the forefront of developments in the legal profession in Ireland. An international firm encompassing all aspects of corporate and business law, the firm provides a comprehensive service to a diverse domestic and international client base. 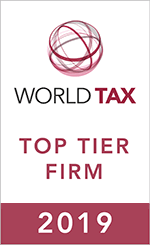 Advises on tax issues associated with setting up in Ireland including tax aspects of servers located in Ireland, maximising tax incentives available in Ireland, efficient repatriation of profits, tax aspects relating to data and IP in Ireland and other tax advices. Praxair, Inc. (NYSE: PX) on its proposed $73bn merger of equals with Linde A.G. (ETR: LIN) under a new Irish holding company to be known as Linde plc.